Spanish police have been hunting Francisco “Isco” Tejon, the head of Los Castanitas, since 2016, but the last place they expected to see him was in a risqué music video, driving luxury cars partying with scantly clad women. A music video posted on YouTube last week has been getting a lot of attention online for featuring one of Spain’s most wanted criminals. Francisco “Isco” Tejon, who escaped from custody in Morocco two years ago and has been on the run ever since, can be seen stepping out of a Bentley Continental limousine with Classe-A, a Cuban reggaeton singer living in Spain, and then entering a pleasure palace to party with half-naked girls. Tejon’s unexpected cameo surprised authorities who now hope to use his arrogance against him and finally put him behind bars. The official video seems to have been taken down from YouTube, but word of Tejon’s appearance has continued to spread, which some source claim is exactly what the drug lord been hoping would happen. A police officer told El Pais that Tejon has recently taken a more active role in controlling the Los Castanitas gang and this music video was as both a taunt to authorities and a message to rival drug cartels that he is still around. Francisco “Isco” Tejon and his brother Antonio have managed to group together several gangs in southern province of Cadiz and form a successful international drug smuggling operation which has reportedly earned them a fortune of around 30 million euros. Los Castanitas’ power and influence in El Campo de Gibraltar area has earned the gang comparisons to Pablo Escobar’s drug cartel during the 1980s. Antonio Tejon was captured a few months ago, when he went to visit the mother of his children and found 1oo police officers waiting for him. He is currently in prison, awaiting trial. The cameo in the Candela video is proof that the capture of his brother didn’t scare Isco at all. Police are currently analyzing the video and have started an investigation to identify when and where it was shot. 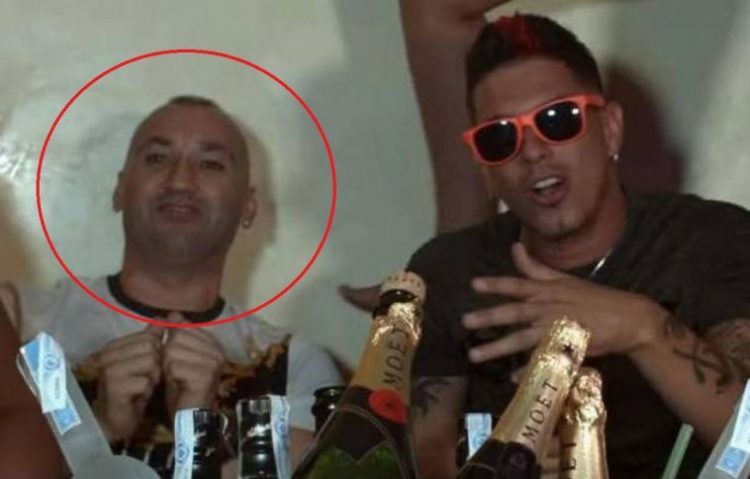 If the music video was made last month and not before 2016, when the arrest warrant for the Tejon brothers was issued, it shows that the wanted drug lord has been living in Campo de Gibraltar with complete impunity. Rumors of Francisco “Isco” Tejon’s whereabouts abound, with some claiming that he spends most of his time in Morocco, where he sources hashish from, while others say that he is freely moving through Cadiz wearing a motorcycle helmet to hide his face.